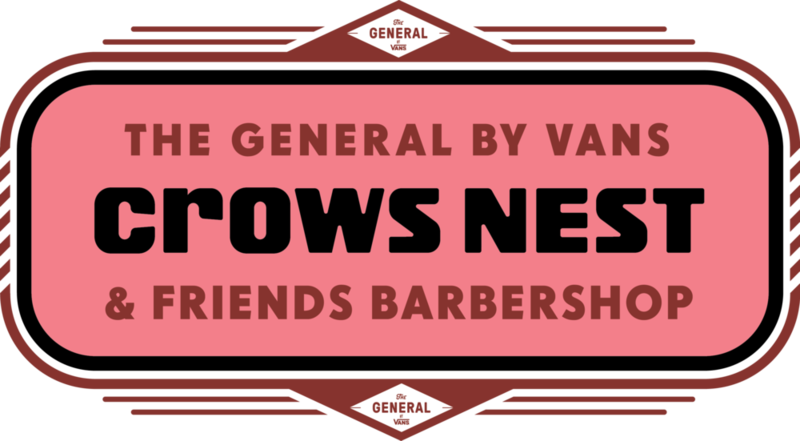 we’ll be doing COMPLIMENTARY HAIRCUTS AT THE GENERAL BY VANS IN THE WILLIAMSBURG NEIGHBORHOOD OF BROOKLYN, NY. EACH WEEKEND WE WILL FEATURE DIFFERENT BARBERS FROM THE CROWS NEST FAMILy AND THE NEW YORK COMMUNITY. AVAILABILITIES WILL FILL UP FAST, SO BOOK NOW!